Present your canapés and small bites in style with this elegant plate from our Scripted Marble Collection. 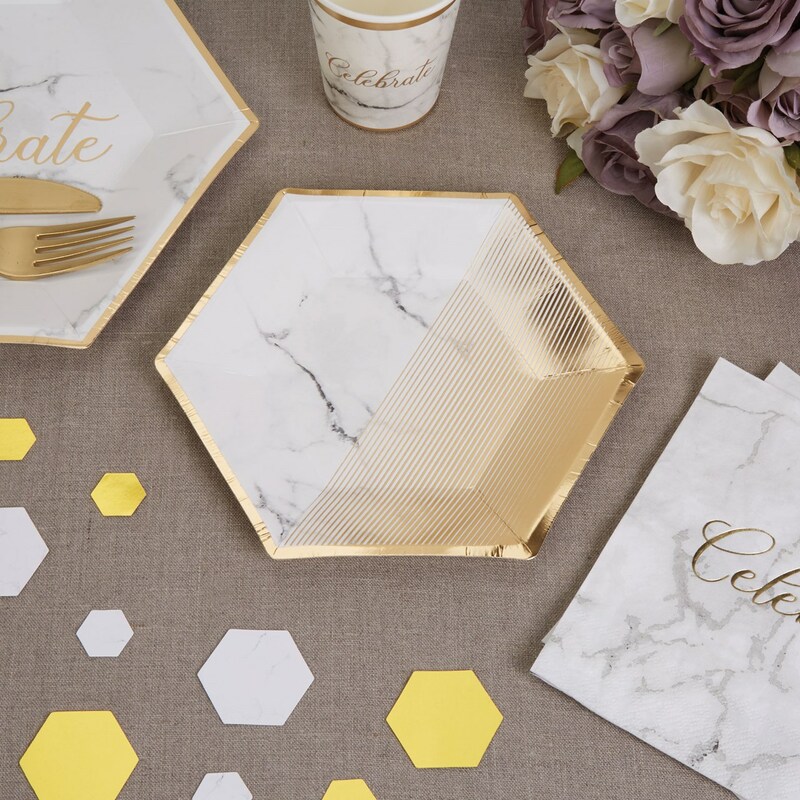 The hexagonal plate features a muted grey and white color scheme, finished with a simple gold edging to add some glamour to your buffet table. Complemented by a large and small-sized plates in the same design, the trio offers a stylish way to serve your party food, and can be mixed in with other tableware and accessories in the range. Each pack contains 8 Medium Paper Plates, size: 200mm.